Want to make extra money fast? How about $5, $1,000, or more? If your answer to both of these questions is yes, then, you are on the right spot. There are more than a million reasons that you need to earn extra money. Some people may say that they need money to pay bills and some may say that they want money to travel the world. We all have reasons for savings. But the interesting question is, how do we earn extra money aside from our full-time, regular jobs? 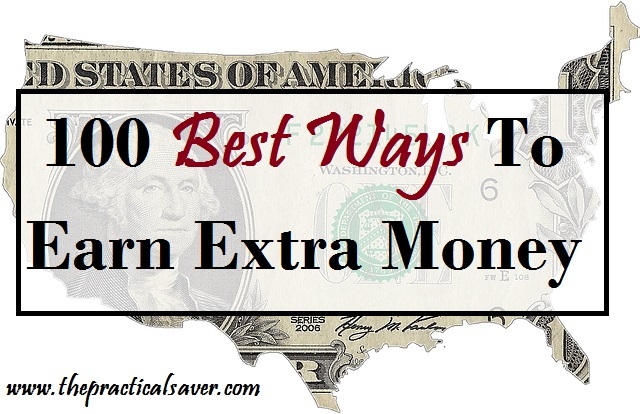 The 100 ways to earn extra money below may or will help you earn extra money. Whether you are looking for extra money of $10 or more, you can use these ways to figure out which ones you want to do to do. With binary options you can trade stocks, indices and currencies. It's more risky, than traditional stock trading, but you don't need to invest a lot of money. Here are the top binary option brokers. If you prefer a safer approach, choose traditional trading. You can sell almost anything on Craigslist, Amazon, and Ebay. By selling your stuff online, you’re entertaining a wider customer base for your items. If you look online and search for surveys, you’ll be surprise about how many survey companies there are waiting for you to be part of their survey teams. Though you won’t become rich by taking surveys, you can always earn money to pay your bills. My wife and I earn more than $100 each month just by taking surveys. Here are some of the surveys that we like or use all the time. There are websites that buy unused gift cards like Raise, Gift Card Nanny, and Card Pool. Though you’re not getting the full value of the cards, you’re still getting money. After all, you’re selling the cards that you don’t need. One of the best ways to earn extra money is by blogging. Blogging is fun and can give extra income on the side. To start blogging, you need a website, a targeted idea, and writing skills. Income from blogging is not immediate but in time and with patience, you’ll likely see income coming in. 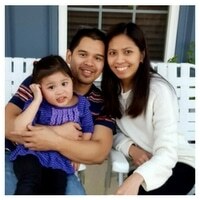 One of the best ways to earn extra money is by babysitting. If you’re not busy and someone is asking you to look after his/her kid, then, take advantage of the situation and get paid at the same time. For a several hours, you can earn money without doing a lot except taking care of the little one(s). Travelling with a pet, sometimes, feels overwhelming. If you happen to know somebody who’s going on a vacation, tell him/her that you’re willing to look after the pet for a fee. Consignment shops are good options to sell your items. The shops will get a percentage of the sales and you get the rest. If you’re not in a hurry to sell your products or if you want a certain price, then, these shops are for you. Just be aware of the terms of the consignment. Some stores will mark down your items after a couple of days/weeks of not being sold. One of the best ways to earn extra money is selling handcrafted products. Sell your own, handcrafted products through arts and craft shows. People love to attend these kinds of shows because of the unique products offered in these events. If you have a kid and stay-home mom/dad, you may want to look into starting a day-care business and use your house as the business site. Any coupons that you don’t need anymore can be sold online. You can sell them in a bundle or by piece. You just can’t say that you’re selling the coupons because coupons are really free. You can say that you’re getting paid for locating, clipping, and shipping the coupons to your customers. If you have unused coupons, you can put those up to Ebay and other platforms. Buyer’s remorse or something else? You can return past purchases you made to get your money back. Just make sure that you return the items within the time frame stated in the store’s policy. Please note stores have different policies on returns and it’s best to check the policies before returning past purchases. I used to do this when I was a young. I’d go everywhere to find scrap metals and sell them to junk shops or recycling facilities. You can do this if you happen to have scrap metals somewhere in your house or garage. If you have a car that falls within the requirements of Uber/Lyft, then, you can make extra bucks by driving people to their destinations. When your loved one passes away and you’re left with a lot of items you can’t possibly use, you can do an estate sale before donating them to charities. Living in a tourist-type area can be a pain but rewarding as well. Take the opportunity to be a tour guide. You may be the type of person who changes phone from time to time. Sell your old phones either to your friends, family, or through Ebay, Amazon, and other websites. Have you seen people on the side of the street spinning their signs. They are called sign spinners and they are used to market the company or company’s promotions and products. Find out if any of the stores in your area need sign spinners. Collectibles especially those rare ones can fetch hundreds of dollars. If you in dire need of money, you can sell your collectibles but make sure you have them appraised so you know how much they’re worth. One of the best ways to earn extra money is hosting house parties. Avon, Scentsy, and Origami Owl? Do they sound familiar? If you’re into products like these, you can always organize house parties and sell their products. In return, you get a commission for sales you made. Got extra room? Rent the room for a few hundred dollars. This is especially a good idea to do if you live near a campus and want to lease a room to a student. Have you always loved to be on camera? Then, you may find that being an extra in a show or movie not only gives you exposure in front of the wide lens, but it also pays you money. Although this is really not a part-time job but more of an extension of your full-time job, it still is a way to earn extra income. If you happen to have another house, you can always find someone or a family to rent it out. You can use the rent money to pay your mortgage and pocket some of the savings. Some people are too busy or they’re just lazy and can’t run their own errands. You can offer your service for a fee and do those errands for them. If you happen to like AirBnB, you can always turn one of your rooms into an AirBnB room. If you have a brilliant idea for business and it doesn’t require a big amount of money, then, maybe it’s the best time for you to establish and run your own company. Though you may not see profit right away, if your business offers something that people need, then, it’s just a matter of time before you see money coming in. This is especially a great idea if you have an extra parking space. For example, if you live in a metropolis or downtown and have a parking space that you don’t use, you can lease it for a fee. If someone will be out-of-town for a couple of days or somebody needs his/her house checked from time to time, make sure to grab the opportunity to house sit in exchange for a fee. One of the best ways to earn extra money is by flipping houses. If you watch HGTV, find the house flipping shows interesting and you want to find other ways to make money out of your money, you can flip houses to earn extra cash, that is, you have the means to do such work. Don’t you hate paying for mortgage when you’re not using your house? If that’s the case, rent it out to someone when you’re not home. This is also applicable to those people who have two or more houses and only live in one of them. A lot of people make a living in the real estate business. If you like to sell somebody’s house, then, get licensed and start selling houses. A number of rental apartments do have referral programs. This is a good way to earn fast cash. If you’re referring somebody to rent where you are renting, then, you may be able to get credits towards your monthly rent. You can clean your co-workers houses, advertise your cleaning services, and network with people and ask if they need their houses cleaned. Pool cleaning is another job that translates into an easy money. Not a lot people want to clean their pools. In this case, offer your services to these people. If your storage is too big for you, rent it out to people who you know. Nowadays, a lot of people prefer to buy local food over food from the grocery. If you have an empty land, use it to plant fruits and vegetables, and, then, sell your produce at the farmer’s market. There are apps out there that pay you cash in exchange of performing various tasks. Some tasks include looking at a restaurant menu, returning a book, going into a store, etc. This is probably the best thing to a part-time job. If you have a skill and/or trade, you can definitely sell your service at Fiverr to earn extra money. Though the jobs typically are set for $5, that’s why it’s called Fiverr, you can definitely add extra services, which you can charge extra. Similar to Fiverr, you can leverage your skills and trade to find jobs all over the world using Upwork. One of the main differences between Upwork and Fiverr is that the price is not set at $5. One of the best ways to earn extra money is by tutoring. Tutoring is a good way to earn extra money. If you are good at Math, music, English, and others, you can definitely tutor somebody for a fee. Check these websites out: Wyzant, Sylvan Learning, and Tutor.com. Of course, this won’t be cut out of the list. If you happen to need more source of income, one of the best ways is to get a part-time job. You can work for an industry that’s different than the industry you are working in now or work in the same industry but different companies. You just need to make sure that there won’t be a conflict of interest between your two jobs, if you do go for jobs within the same industry. Some people need to do shopping but don’t want to go shopping. Some are just busy but still need to do shopping. This is where you can come in. You can do personal shopping for them just make sure that you know exactly what they are looking for, their budgets, and other requirements. Get free money when your case wins. However, it may be difficult to find which class action lawsuits you belong. First, you need to provide proof that you used or are using the company’s products. Second, you need to know who to get in touch with to be included in a class action lawsuit. Check out ClassActionRebates and EnergyDrinkSettlement and see if products you used or are using are included in these sites. Do you like photography? Well, there are companies or websites like Bluemelon, Shutterstock, DreamsTime, and PhotoShelter that buy photos. Some websites not only pay you money when you sell your photos to them but will also pay you royalties. One of the best ways to earn extra money is by modeling. If you have the looks, the swag, and the attitude to model, then, may be modeling is your ticket to earning extra money. One of the best ways to earn extra money is washing cars. If you need quick cash and you know people whose cars are in dire need of cleaning, offer your service to them. If you have 5 cars to clean and charge $10/car, you’re looking at $50 plus tips. So it’s spring or summer time and your neighbors lawns are in need of makeover, then, it’s the best time to use your lawn mower and tell your neighbors you’ll cut their lawns for a fee. If you do this throughout the spring and summer seasons, you may be looking at least $100. I’m not a fan of cold weather and so many of people. When the snow accumulation becomes incredibly unbearable, then, here’s when you can come in. You’ll be surprised about how many people will be asking for your service. One of the best ways to earn extra money is by raking leaves. Fall season is one of the best seasons but when leaves start to fall and accumulate on the ground, somebody needs to rake them. You can always go door-to-door and target those houses whose owners need help with raking leaves. The more yards you work on, the more money you can put in your pockets. Target those clients who want to get their landscaping projects done but don’t have the time and patience to do them. You may need more hand to work on landscaping but this job pays a lot of money. You just need to communicate well with your clients and execute their requirements. If you leave in apartments, you will see that people move in and move out quite often. You can lend your help in exchange for a fee. Better yet, talk to your landlord and say that if someone needs help moving stuff, make sure to give your information to that person. You can give customer service right in your home. All you need is a dedicated landline and computer for such work. There are a number of companies out there that are in need of customer service representative who can work remotely. Check out these sites: Live Ops and Telereach. You can also check The Work At Home Woman for a comprehensive list of sites that offer online jobs. There is money in selling insurance. If you are really good, you can make a living out of this job or, better yet, really make a lot of money. You will need to get licensed before you can sell insurance. If your company is looking for some talents or potential employees and it’s offering a reward for referrals, make sure to not let pass this opportunity. You can call and talk to your friends, family, and network and find out who have the skills and experience requirements that your company is looking for. Not all merchandise stocker work full-time. Many of them work when the stocks come in. If that’s something you are looking for, start your search. You’ll never know what’s out there for you. Help lawyers decide the value of the case, find facts that need to be emphasized, among others. Check these sites for more information: Ejury and Online Verdict. Similar to Lyft and Uber except that with PostMate you are delivering food instead of driving people. Find out if PostMate is in your area. If you have can write well, then, you can get paid for writing. A number of people can make a living out of this gig and so can you. But if you can’t make a living out of it, you can still make some money on the side. Check these sites for more information: Demand Studios, About.com, and Writers Domain. One of the best ways to earn extra money is providing expert advice. Are you expert on something? The general format is that when you give your expert advice and the asker approves your answer, the site will pay you after it gets its share in the payment. Check these sites for more information: JustAnswer and Ether. Have a great computer skill and the ability to type fast? You may look into working from home by doing medical transcription. Sometimes, garage sales don’t work because you need more space to display your items. You can always rent a space at flea markets and get more potential customers doing that. If you have skills in woodworking, knitting, and other DIYing a lot of things, then, you can sell your products to your customers. You can leverage the flea market, websites like ETSY and Ebay, and arts/craft shows to sell your products. Writing can be fun if you know how and what to write. When you publish a book, you can get a set amount of fee plus royalties. If you don’t want to contact a publishing company, you can write a book and sell it as an e-book. You can easily find writing contests online. Whether you are a student or working professionals, there are a lot of writing competitions that you can take advantage of. You can also write for customers who you can search through Fiverr and Upwork. One of the best ways to earn extra money is by catering. Catering is a very in-demand but busy business. You can start small by offering your catering services to friends and family. You just have to make sure you have the proper licenses to run a catering business. For fast cash, you can turn to medical testing. You can make money by participating in paid medical tests. Just make sure that the test won’t harm you in the process or in the long-run. Along the line of taking surveys, getting interviewed can be fun and rewarding at the same time. You may look online or on newspaper ads, radio, and other media platforms to see which companies are paying people to be interviewed. America is a land of diversity and language is one of those metrics to measure diversity. If your native tongue is other than English and you have a good command of your native language, you can teach people who want to learn another language. One of the best ways to earn extra money is fixing computers. Broken laptops? Messed-up computers? The skills in fixing computers can come in handy in these kinds of situations. Depending on what the computer problem is, you can start charging at $20 and up. If you do a great job, chances are you will get repeat customers and customer referrals. Before I started blogging, I had hired a website designer. If you’re a web-design-type of person, then, you can help others who want to have their own websites. You can search jobs through Fiverr and Upwork, just to name a few. The Voice and America’s Got Talent are some of the contests that can give you exposure and help you make a living. If you have a talent, then, find contests locally or nationally that you can join. Scrap and old newspapers can be used to create paper mache. Considered as a form of crafting, you can sell your work in arts and craft shows. You can check out FNO website to see upcoming arts and craft shows near you. If you are teaching another language, you may also think about working as an interpreter. Check these websites out for more information on becoming an interpreter: CTS Language Link and Cyracom. One of the best ways to earn extra money is selling a blog. Established blogs earn money mainly through customer traffic and advertisements. When you are ready to quit blogging or want to move on to something else, you can always sell your blog for a profit. One of the best ways to earn extra money is through selling art. Creating art is a wonderful and rewarding process. It can also bring big bucks to your bank account. You can search for art dealers, find buyers within your local community, join craft shows, and others to sell your art. I review resume on the side and get paid, too. Resume writing and/or reviewing can be a big income generator since a lot of people are looking for jobs. If you have an outstanding grasp of business English and understand the keys to a great resume, you can definitely offer your services to a lot of job-seeking individuals. Personal career coaching or mentoring is a key ingredient for those who want to up the career ladder. You don’t have to be expert in your field but you need to understand what the customers want and you know the ways that you can help them get there. It goes to say that, experience and education are crucial in this type of job. How many apps are developed every year? The answer is a lot. Developing apps can be demanding but if you happen to create an outstanding app, your app may end up becoming the next Snapchat, WhatsApp, or Uber. Editing and proofreading is a good way to extra income especially if you live near a campus. A lot of students need help with getting their written work edited and/or proofread. You can also find editing and proofreading jobs on Fiverr and Upwork. One of the best ways to earn extra money is by teaching online courses. If you happen to have expertise in specific areas, you can teach online through Skillshare or Udemy. Credit cards are evil in the eyes of many but if you are a responsible credit card user, you can always take advantage of your credit cards’ rewards. Always use your cards that pay cash back. If you don’t like heights, don’t fret because there are other businesses that may need your service. You can wash windows of small business or brick-and-mortar stores. You can always make a loan from your life insurance, provided your policy already has a cash value in it. One of the best ways to earn extra money is through using apps. There are a ton of apps out there that will pay you in cash, gift cards, rewards, and others. I happened to make at least $100 a month using various cash-paying apps. Checkout my write ups about apps that pay to see which apps can help you make money. Want to review websites and get paid? Try UserTesting for free. This could be in the extreme side for some but, sometimes, there are treasures in the trash. You’ll never know what they are until you give this job a try. Look at this website (i.e. Dumpster Diving) and you’ll find out that there’s a community of dumpster divers out there. A family friend told me that he works for a facility that pays people who donate plasma. He told me that his company pays roughly $25 per person. For fast cash, you can find centers, clinics, facilities, and/or hospitals that need plasma and pay you in exchange. My brother-in-law used to pick up change wherever he went. It’s more like a hobby to him. But kid me not, he made at least $20 a year from picking up loose change. That’s $20 and it’s money. One of the best ways to earn extra money is lending money to somebody you know. Don’t be a loan shark but charge a small interest for loans you lend to other people. If you happen to lend more than the required IRS amount, the loan can be considered as gift and you will pay taxes on that gift. One of the few exceptions is that if you charge interest, the money you lend is not considered as a gift. Don’t buy stuff online without going through Ebates first. The site gives you discount on almost every website that is out there. Your big truck can be rented out as well. Some people don’t like to rent a van or a moving truck because it costs too much. If you have a truck that people can use, rent it out to them in exchange for a fee. As added service, you can tell them that you can help them move their stuff for a few dollars. If you need money fast and have silver and gold, you can sell those to pawn shops, friends, and family. You can place on your car and get paid doing just that. Visit AutoWrapped to get started. There a lot of banks that give you bonus when you open an account or two with them. Take advantage if you have the money to deposit to other banks. If you want to earn money and have fun at the same time, why not apply to be on game shows like Jeopardy, Wheel of Fortune, and Who Wants to Be a Millionaire. You’ll never know you might be the next lucky person to win big time. Though I’m not familiar with the newspaper delivery business, I know a few people who do that every morning to make some money. Cleaning carpets are almost always not included in cleaning house service. All you need is rent out a deep cleaning vacuum for around $50. If you happen to schedule cleaning your own carpet, you can ask your family and friends if they want to have theirs cleaned as well. One of the best ways to earn extra money happens during tax season. Preparing tax returns can be a lucrative job especially during tax season. If you have a background in taxation or know tax software really well, then, find friends and family who need such service. Before a house is sold, many realtors beautify the interior of the house first for the customers to see. Find local realtors in your area who need help in staging a house for sale. If you have other clever ways to earn extra income, please let me know so I can add them to this list for everyone to see. These are some great money making options. For myself, I have probably done atleast 20 of these options at some point in my life. Currently, I make extra money during tax time doing tax returns for some of my friends and year round I take on some tutoring gigs if my schedule will allow it. It’s hard sometimes while working full time but the extra mula helps. These are all great tips! My neighborhood has a few Facebook pages, one of them being a buy, sell, trade page. I find that to be the best place to be able to sell things and not worry as much about safety. With this title I couldn’t NOT go read this post. I have been trying to come up with other ways to make “side money” aside from my daily job, but haven’t been playing out so well. I do occasional babysitting, and I just set up an Instagram boutique to sell clothing. I used to consign a lot but unfortunately the shop near me changed their policies. I really like your idea about trying to be a tour guide! Wow! Great suggestions. Thanks for sharing them. Some great ideas, Allan. Thanks for these helpful posts. I have done housesitting in the past. Thinking about selling some of my pics online. Thanks for the list!